One of the cutest things to see is a celebrity daddy with his kids. There aren’t much things that would make you smile more in this world. Let’s just say when the photo of Timaya and his beautiful children broke on the Internet, it came as a surprise to many as the singer had never done it before. Timaya released a photo of him taking his kids to school and trust it was really cute. Timaya has two daughters, Grace and Emma with his baby mama, Barbara. 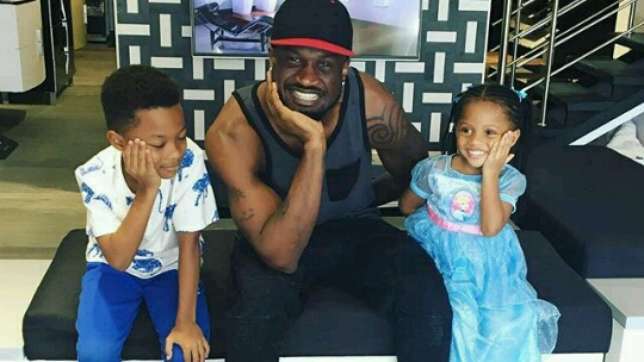 Paul Okoye of the group Psquare is one celebrity on this list who loves to show off his cute kids. On his social media page, you can never go past his pictures without coming across pictures of his kids. He recently welcomed a set of twins with his wife, Anita. The amazing father of three adorable children has a number of cute photos with his kids and it’s obvious he is a proud dad. Davido is the youngest of the amazing fathers on this list as he is a proud father of two adorable daughters, Imade and Hailey. Davido’s love for his daughter knows no bounds as he posts pictures of them on his Instagram and Snapchat pages every time. He even brought Imade upstage during his last #30BillionConcert held in Lagos. Major cuteness alert.